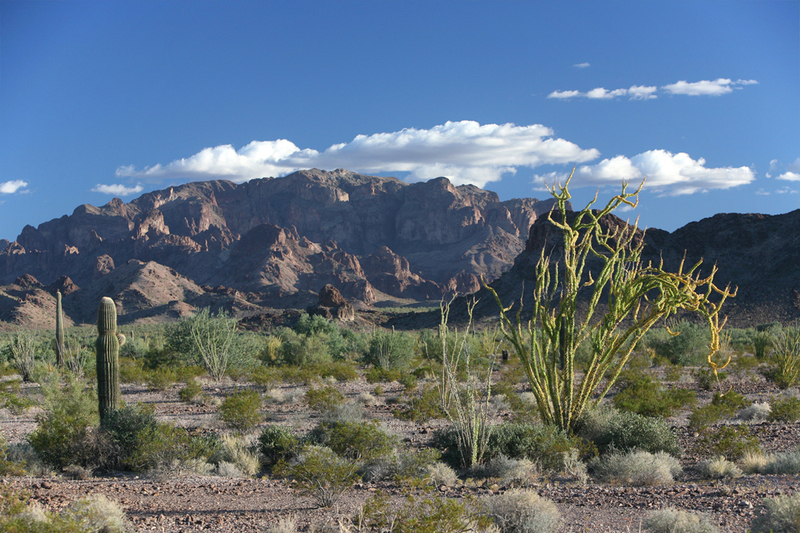 The tortured landscape of this mountain range rises abruptly from the desert floor in a series of sheer cliff faces, towering rock spires and deep cut canyons. 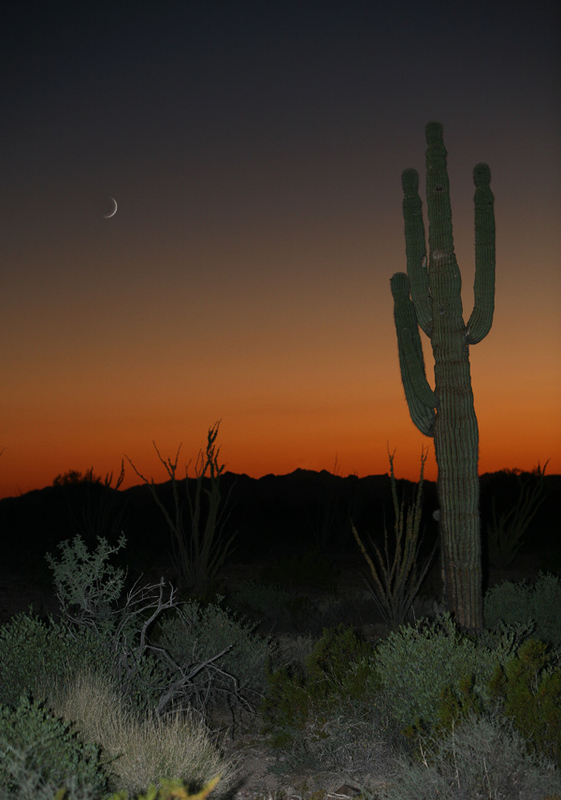 The observing site is located within the Kofa National Wildlife Refuge, a 664,300 acre preserve established in 1939 by the US Fish and Wildlife Service. 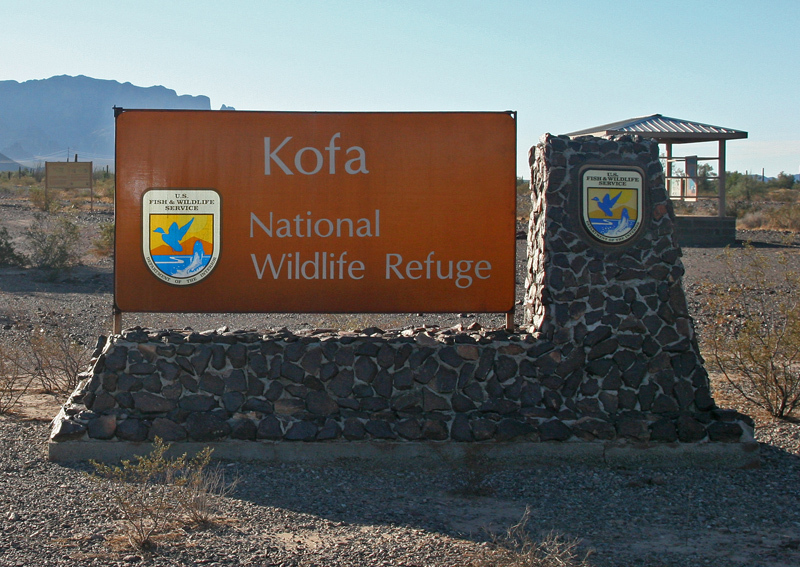 refuge, Kofa, is a contracted version of “King of Arizona”. the "Do's and Don’ts" is available at most unmanned entry stations like the one shown above. Penalties for violations are quite stiff. lens on October 13, 2007. Illumination of the foreground was accomplished with a Canon Speedlite 580EX flash. The Moon is but a thin sliver in the above image at a mere 7.49% phase. After nightfall all sorts of creatures emerge from their underground dens. 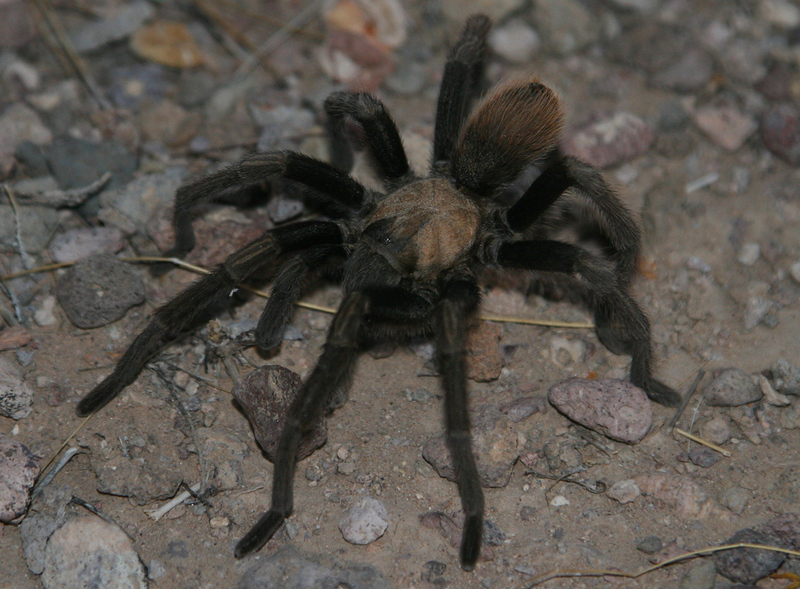 This tarantula was found passing near my campsite about an hour after dark. In the desert it's always a good idea to carry a flashlight with you when walking around at night so as to avoid stepping on the critters.